PAHIC President and NHA Board Chairman Geoff Whaling met with senior USDA staff on June 28th, with the encouragement of Agricultural Secretary Perdue. Mr. Whaling initiated the meeting along with Erica McBride of the Pennsylvania Industrial Hemp Council. This was the first meeting Secretary Perdue and his team have afforded the Industrial Hemp Industry. Meeting attendees, along with Whaling and McBride, were Jonathan Miller representing the U.S. Hemp Roundtable, as well as representatives from Senator Merkley and Representative Comer’s offices. Representing Secretary Perdue were Chief of Staff, Heidi Green, Acting General Counsel, Steve Vaden, and Michele Esch, Acting Chief of Staff to the Deputy Secretary for Research along with senior USDA Policy staff. 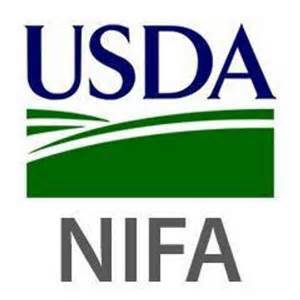 The meeting reaffirmed critical elements of the working relationship the hemp industry has established with the USDA since the enactment of Sec. 7606 of the 2014 Farm Bill. 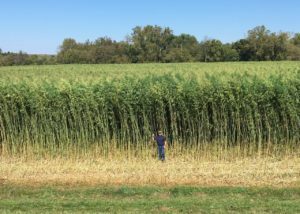 While the USDA does intend to fully support hemp under the existing regulatory environment, it too welcomes the opportunity to engage with the DEA in differences over legal and regulatory interpretation – a stance that should prove helpful in moving forward with the introduction of the Industrial Hemp Farming Act. 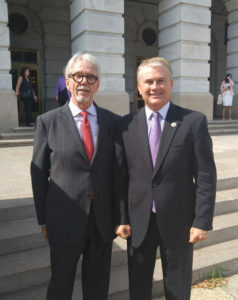 Corresponding with the USDA meeting, Whaling had the occasion to update Representative James Comer and Senator Bob Casey, a Member of the US Senate Agricultural Committee. In addition hemp leaders from throughout the US were invited to a legislative update regarding the status of the Industrial Hemp Farming Act and its introduction to Congress during the current session. Jonathan Miller hosted the conference call with Kentucky Congressman James Comer who is the lead sponsor of the bill and who has been a tireless advocate of hemp as a de-scheduled agricultural crop. Congressman Comer hopes to have the bill introduced in July, while continuing to gain key support throughout Congress and the committees that are most influential to getting the legislation passed. While legislative compromise is expected, the bill’s primary purpose is to remove hemp from the Schedule I substance list, set workable levels for THC content, and allow states to self-regulate the cultivation of hemp. 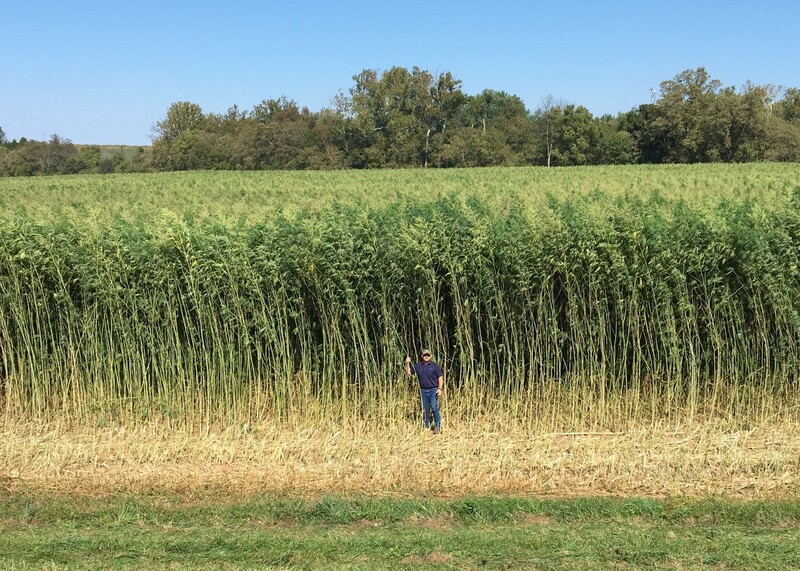 With these limited legislative approvals, hemp will be able to move forward in dramatic ways, encouraging both investment and economic growth within the hemp industry. The National Hemp Association looks forward to the introduction of the Industrial Hemp Farming Act and will provide Congressman Comer, and his co-sponsors, our full and committed support in passage of the legislation. Now would be a good time to contact your Senator and Representative and ask them to cosponsor Senator Merkley’s SAFE Banking Act (S.1152) and Congressman Comer’s Industrial Hemp Act when it is released in July. Please consider becoming a member to help support our efforts both in Pennsylvania and on the federal level.